I've recently installed a new shower with honed marble and ceramic tiles. Do I need to seal everything, the marble, the ceramic tiles, and the grout? Or just the honed marble? Is there a product that seals the grout AND the marble in one step? 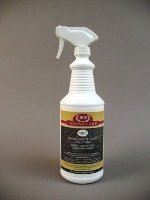 I would seal with an impregnating sealer, which can be used for both the grout and the honed marble. The ceramic tile will not take a seal, but the grout will. 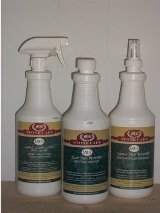 My recommendation would be to give your shower a heavy duty cleaning at least once a year and at that time, seal again. Sealing just once is not good enough. You really need to seal once a year, especially in such an active environment like a shower location. I hope this helps. 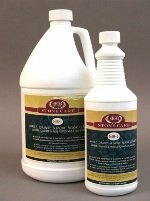 We do sell an impregnating sealer in our Stone Care Product page to the right of the this webpage.